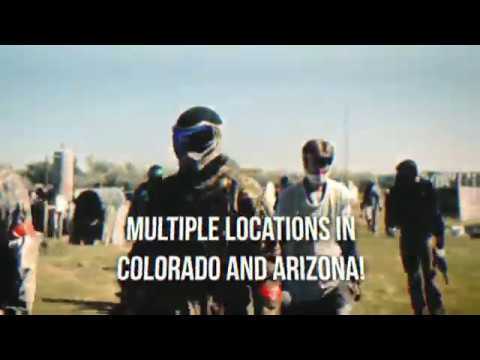 Come Play at The Best Laser Tag Field in Arizona! Come Play at the Best Phoenix Arizona Laser Tag Field! Why Should You Play Laser Tag at APC? We use real paintball guns – this means no huge battery packs, vests, and bulky equipment. This makes a HUGE difference and is much easier for smaller children! Less restrictive rules than other laser tag arenas means a LOT more fun! Realistic urban theme field with airplanes, cars, obstacles, and more! This is like playing Laser Tag in real life, not in some dark room with a bunch of cardboard! Book now and start playing Phoenix laser tag! A great attitude and big smile! 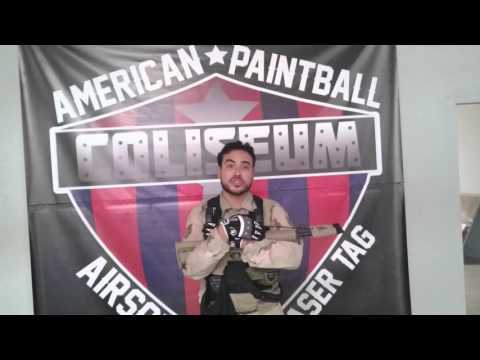 American Paintball Coliseum is conveniently located in the heart of Phoenix, Arizona right off of Washington and 29th street. This means it is easy for people to meet for your party whether it be a bachelor or bachelorette party, birthday parties, corporate events, or just friends getting together to play. We are open 7 days a week to ensure convenience for you and your group. We can also host after hours events! Give us a call right now at (602) 275-5285 and our friendly and helpful staff will ensure that you have a great time at our facility! We do ask that reservations are placed at least 24 hours in advance. Reservations can be placed TODAY. Let the lasers start flying. Sneak up and pull the trigger on your co-worker, boss, or direct reporter all in good fun while giving your team an experience they will not forget. Team building packages can include pizza and other amenities for an additional cost. After hours events are available also. 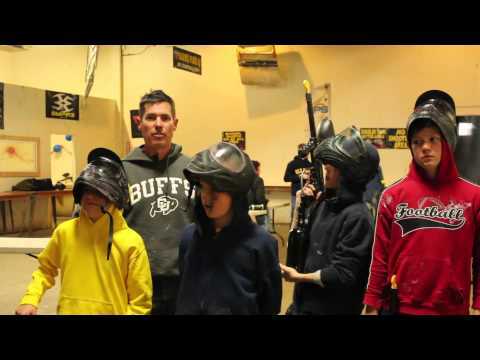 American Paintball Coliseum wants to ensure that each player enjoys their time playing extreme indoor sports at our facility. Safety is the number one part of having a good time. Our staff is highly trained to monitor the players keeping an eye on safety equipment and rules while they are in the facility. After checking in each group will be given a brief safety lesson so that everyone has a great time. Each player will be required to sign a waiver. If you are not over the age of 18 an adult will be required to sign for each minor. If you would like to fill out the form prior to arriving please visit here. For more information please contact us at (602) 275-5285. 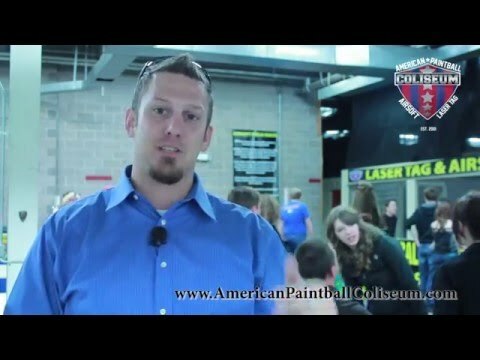 American paintball Coliseum would love to see you for your next event so please contact us and schedule a time. 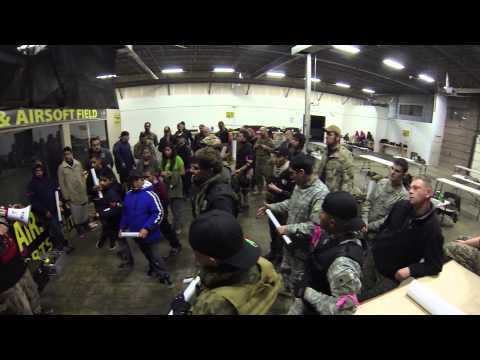 Laser tag is an alternative to paintball or airsoft that has limited contact. While playing laser tag at our Phoenix field, you will not be hit with any projectiles so there is no pain involved, but you still get all of the fun of participating in extreme indoor sports! People of all ages and skill levels enjoy laser tag play. It is the perfect activity for any event! Say goodbye to the same old boring black light laser dens and enjoy an exhilarating experience at American Paintball Coliseum! Our facility is different than any other traditional laser tag arena because our fields have an urban, more realistic laser tag theme. The fields feature obstacles such as airplanes and wings, a car and car parts, ammo crates, tires, and much more! Laser tag is great for players that don’t want to get hit but still want the paintball experience. The laser tag guns we use are modified paintball guns. These guns have been converted with laser tag parts which gives a great experience to players of all ages (5+). 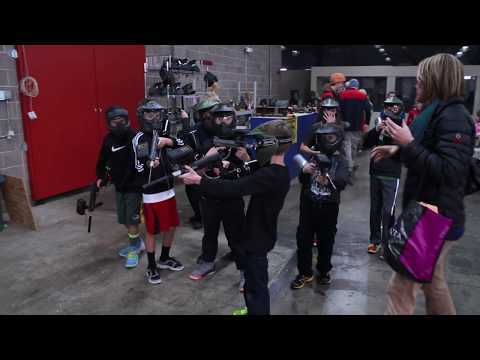 Laser Tag is a great activity for kids and adults alike to enjoy while helping to build qualities like teamwork, communication, and good sportsmanship.